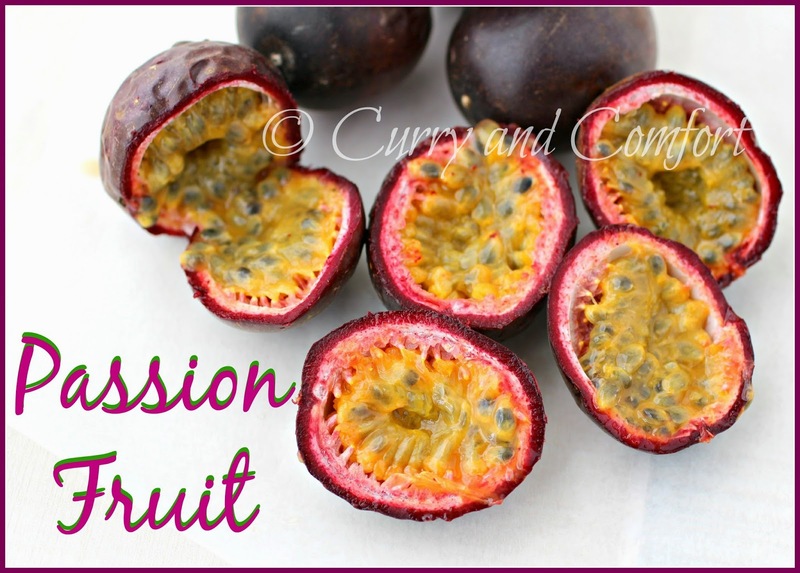 Have you ever had passion fruit? I love passion fruit juice... it's one of my all time favorite fruit juices in the whole world. I remember drinking a lot of passion fruit juice when I was in Sri Lanka. It's well loved there and you find it readily available. Unfortunately, I don't get the chance to have passion fruit very much these days so I was really surprised to find fresh passion fruit at my local grocery store. I decided that I needed to make something special with it so I created this easy (no ice cream maker needed, egg free) ice cream. Blend all ingredients together for several minutes in blender until thick and creamy. 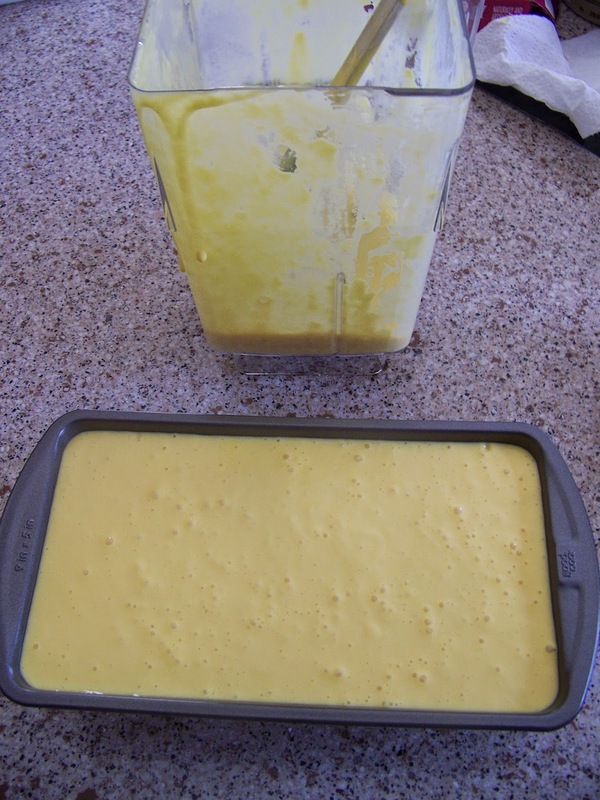 Place in freezer safe container and freeze for 6-8 hours or until firm enough to scoop. Garnish with some fresh passion fruit if desired. Enjoy. 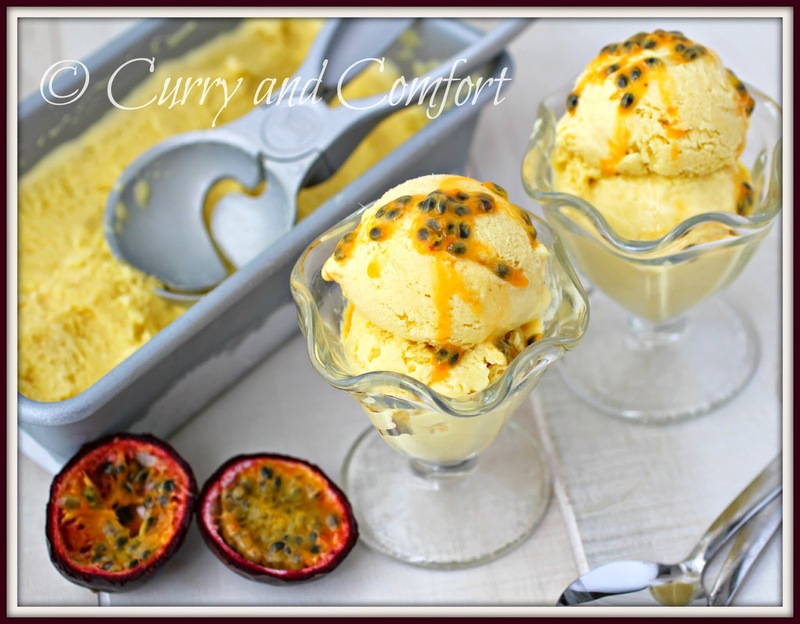 I raelly like the taste of passion fruits..this icecream looks so delicious! yuummm! I've never had passion fruit but I am intrigued by it. This recipe and gorgeous pics is making the case for me to get to it! 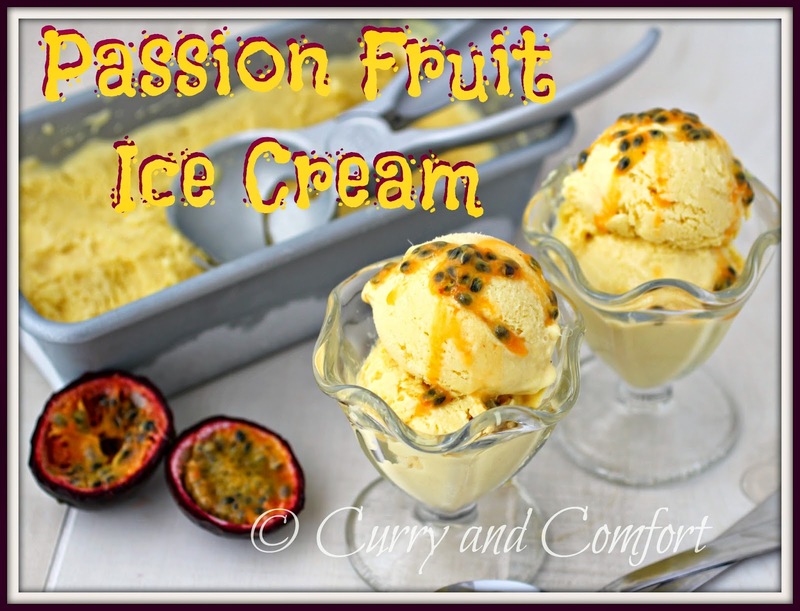 Why have I never had passion fruit ice cream, but this looks amazing! I think I've only seen fresh passion fruit once in our markets---and it looked a little beat up (I have a feeling it came a LONG way!). Maybe I'll be able to find some frozen as I'd love to try your wonderful ice cream!! I don't think I have ever had passion fruit ice cream...very interesting. Looks very good. I adore passionfruit! Growing up in Sri Lanka it was one of my favs - so I am drooling all over my keyboard looking at this ice cream! I think the flavor must be awesome. 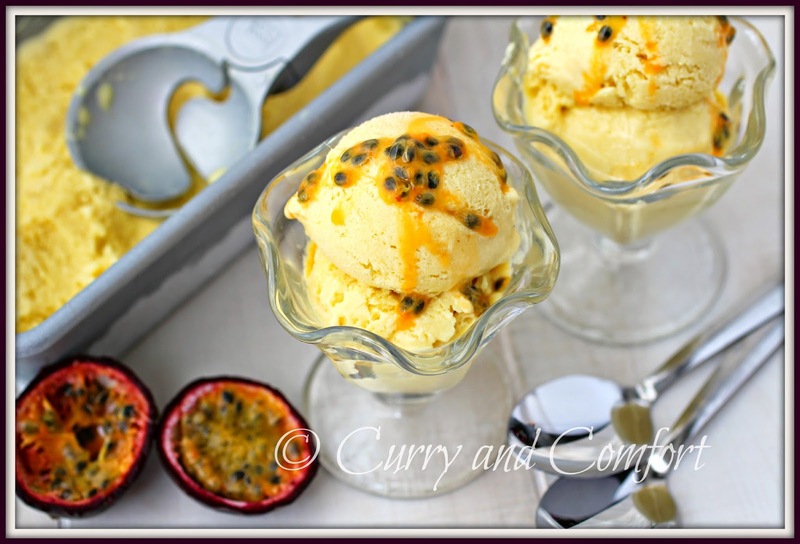 Passionfruit icecream is popular in australia.